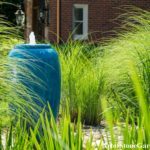 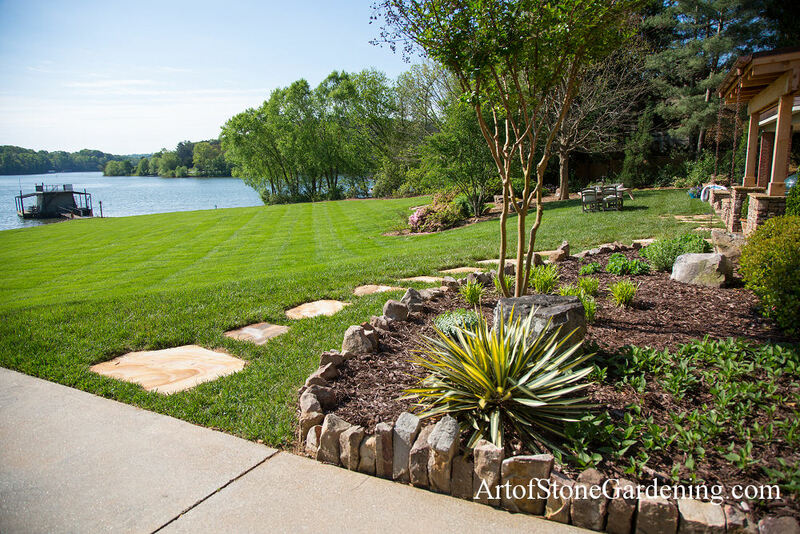 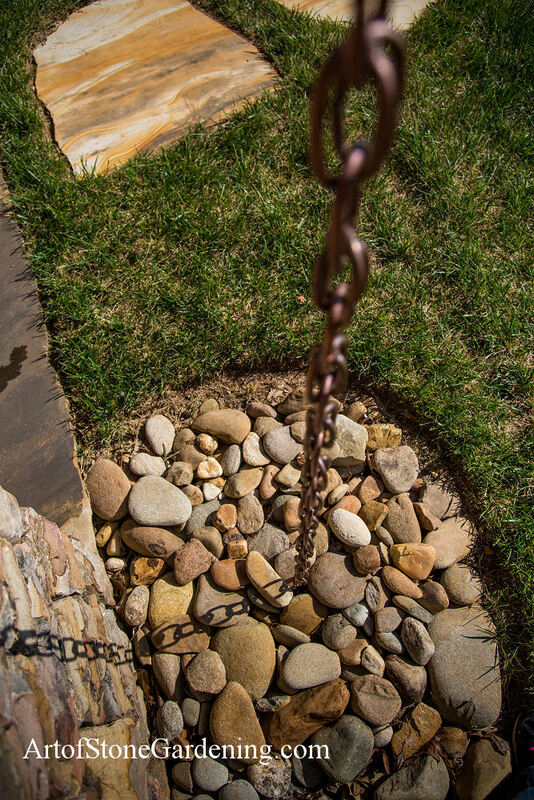 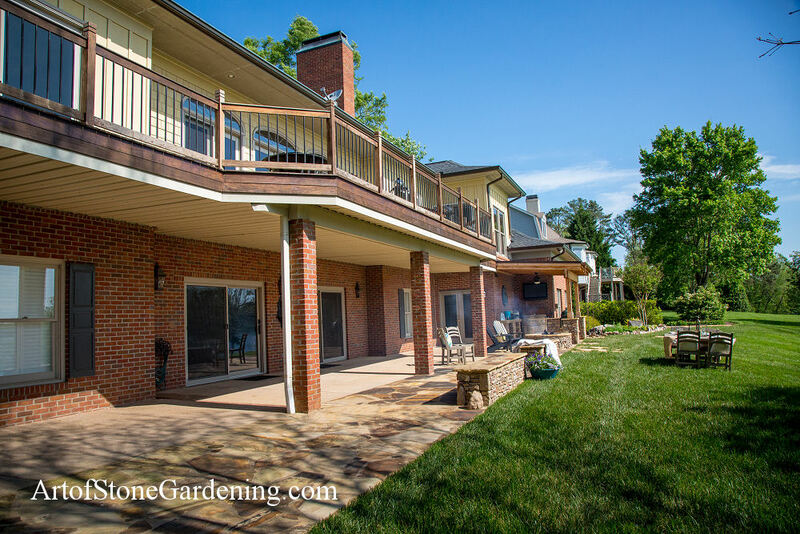 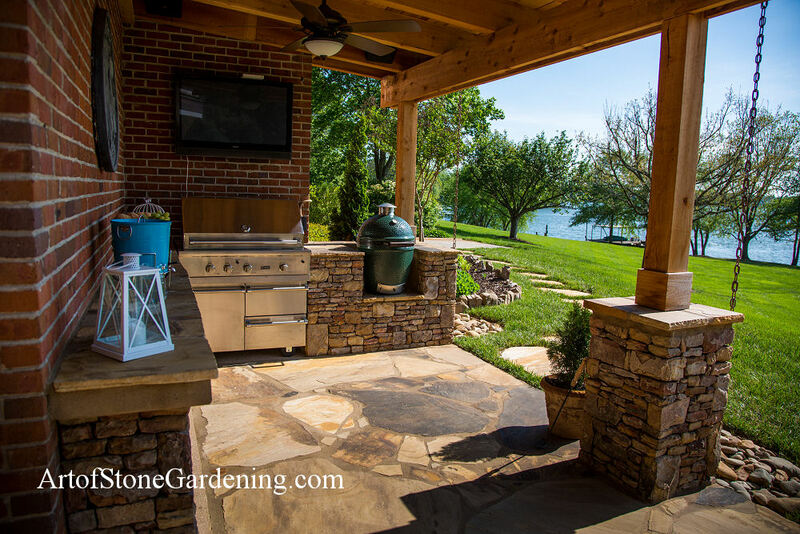 This award winning design took an ordinary back yard and created the ultimate outdoor living space. 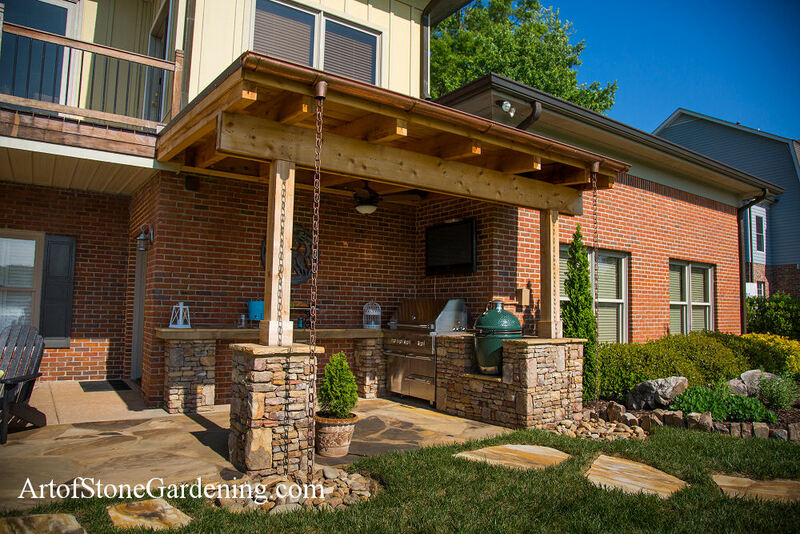 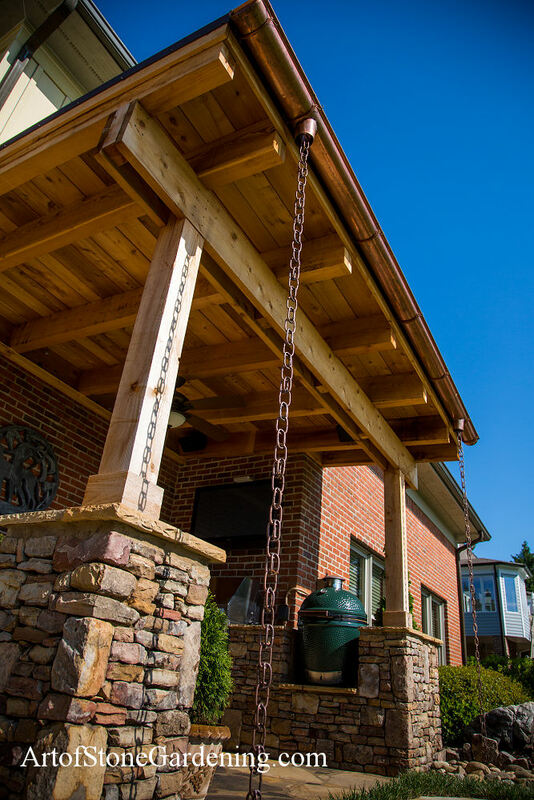 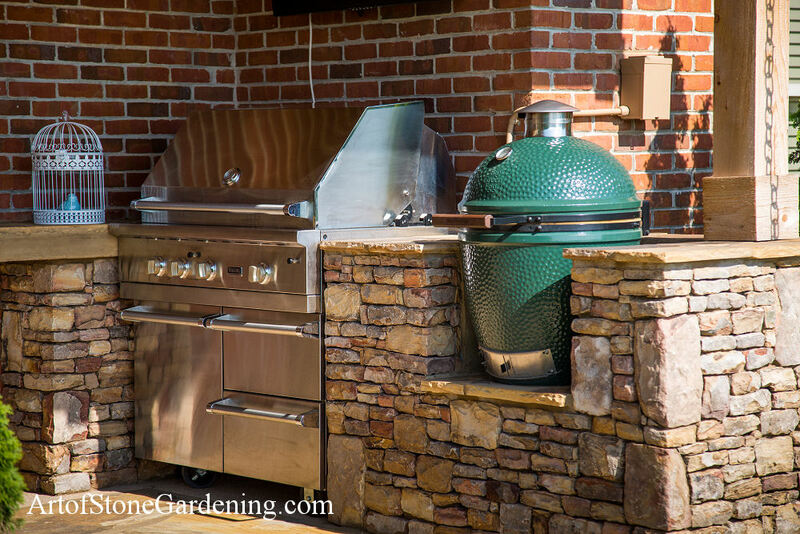 The grill area is set up with everything a true grill master could need, covered by a cedar arbor with copper gutters and rain chains. 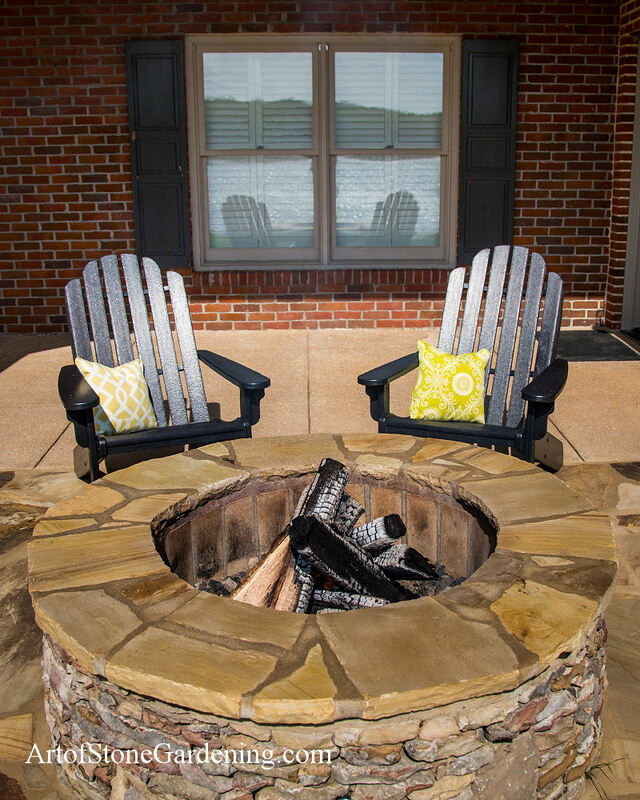 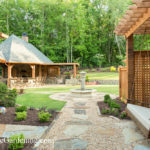 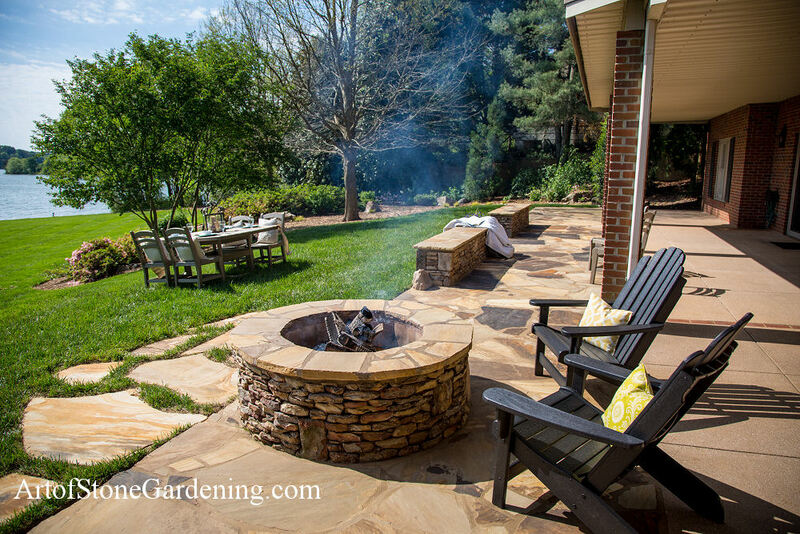 The fire pit is built into the extended patio with plenty of room to mingle around it. 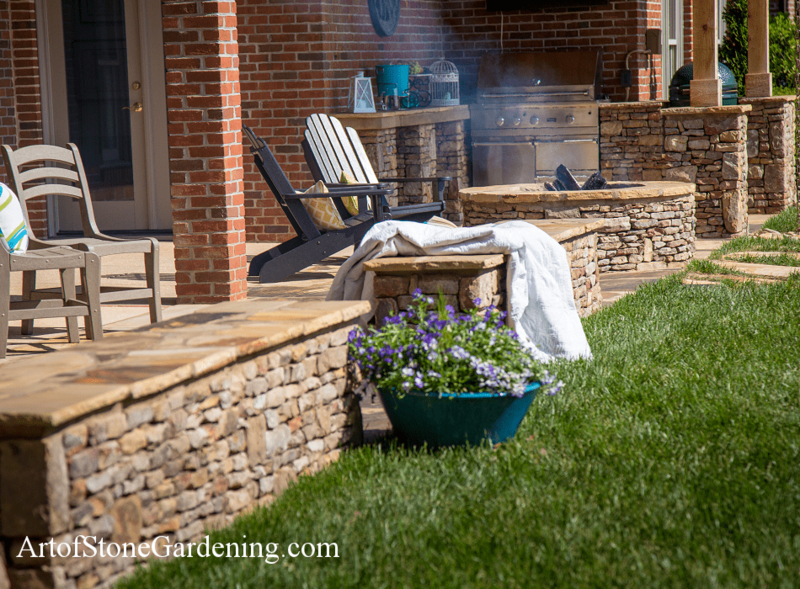 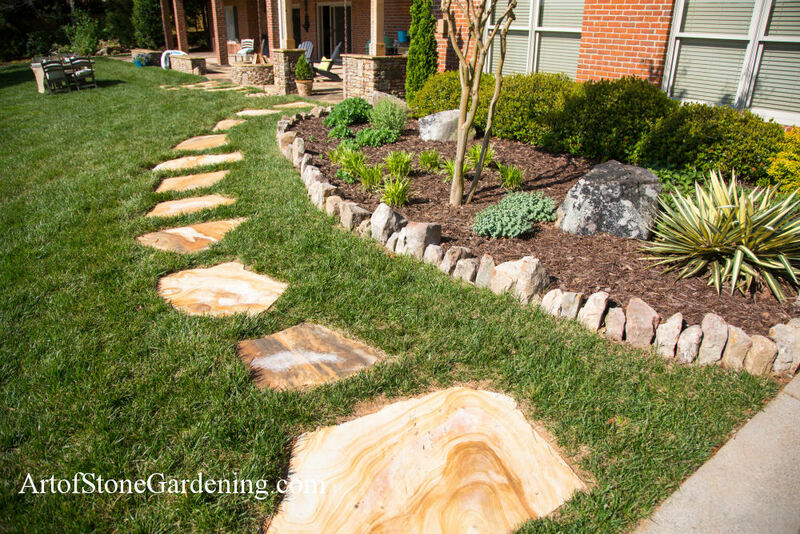 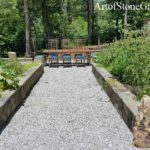 Two stone benches add extra seating and continue the stacked stone from the fire pit and grill area. 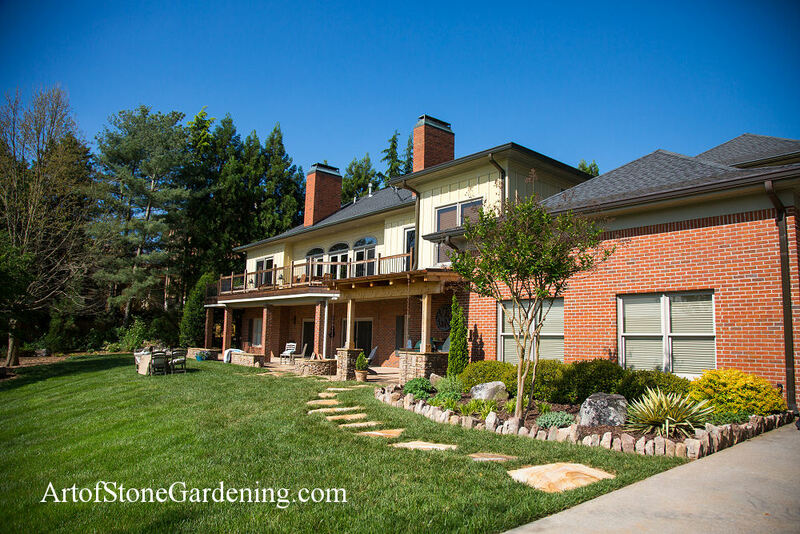 Flag stone steps connect to the drive way, passing the newly installed garden with modern stone edging.